Complimentary parking in the HMNS garage - entrance on Caroline near Hermann Dr.
Light allows us to experience our world, including art, and different lighting conditions have a profound impact on our overall visual perception. This lecture by neurologist and Rothko Chapel board member, Dr. Aziz Shaibani, will explain the power light has on the visual perception of art mediated by the brain. Dr. Shaibani will illustrate the physical properties of light and the way the brain processes light and color, providing insight to the complex relationship between light, perception, and art. This is event is one in a series of offsite programs presented by the Rothko Chapel in partnership with Houston-area organizations while the Chapel is closed for renovations. 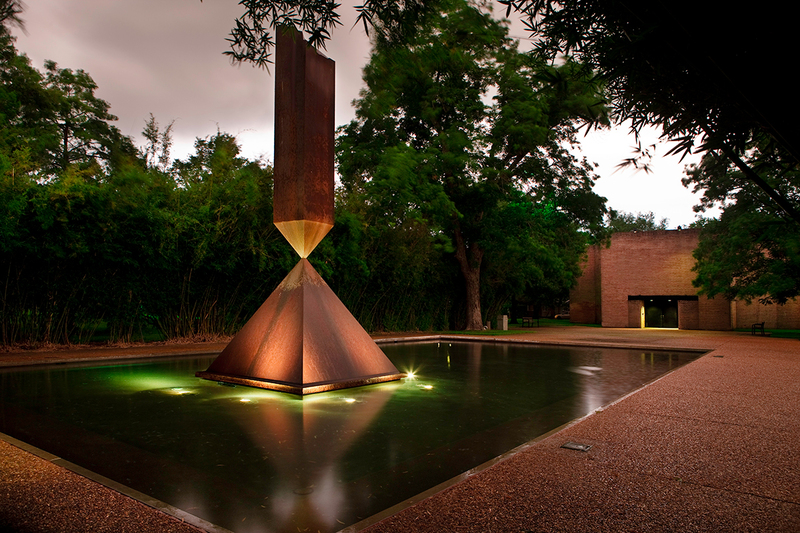 The Rothko Chapel and grounds are closed to the public, to reopen in winter 2019/2020. This temporary closure is the first part of the implementation of the Rothko Chapel Opening Spaces master plan, foucsed on preserving the Chapel as a unique public art site and spiritual space, serving the growing number of visitors and program participants, and setting the stage for programmatic expansion. Aziz Shaibani, MD, is a practicing neurologist in Houston who also specializes in neuromuscular medicine and neurophysiology. Dr. Shaibani graduated from Mosul University in Iraq in 1983 and completed residency in neurology and fellowship in neuromuscular disorders at Baylor College of Medicine, and currently is the director of Nerve & Muscle Center of Texas and is affiliated with Baylor St Luke's Medical Center. He is a clinical professor at Baylor college of medicine. He is past president of the Texas neurological society and current vice president of the neuromuscular section of the American academy of neurology, and the past president of the National Arab American Medical Association, and currently serves as the President of the Arab-American Educational Foundation and is on the Board of the Arab American National Museum and the Rothko Chapel. Dr. Shaibani published a prize winning book "Video Atlas of Neuromuscular Diseases" the second edition was released in 2018 by Oxford University Press. He has published many articles in peer reviewed journals including the New England Journal of Medicine.